This Summer Saudi Arabia announced plans to “regularize residency and employment status” of foreign workers in the country. This euphemistic language was a warning to the thousands of undocumented workers that they had from July 3 to November 4 to get documentation or get out. The move was reportedly made in response to Saudi Arabia’s 13 percent unemployment rate, although the actual rate is estimated to be higher than officially announced. What followed the deadline continues to be a topic of discussion and has prompted a call for justice. Last month, the world––or those paying attention to the scant news reports––witnessed an unprecedented, hate-filled and organized attack targeting foreign workers and, more specifically, Ethiopian workers in Saudi Arabia. Thousands of undocumented migrants have been arrested, attacked, raped and treated in an inhumane manner as they await repatriation. 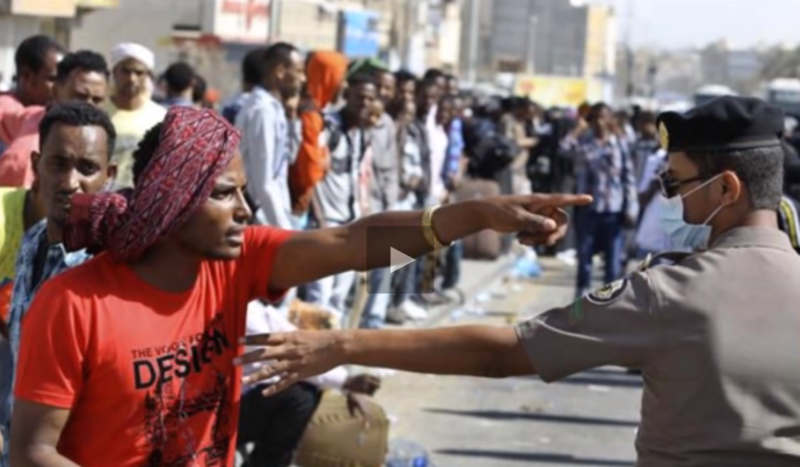 In the first wave of repatriation process, about 50,000 undocumented Ethiopian migrant workers were returned to Ethiopia from Saudi Arabia on November 27 after a violent crackdown which claimed the lives of three migrants according to official reports. 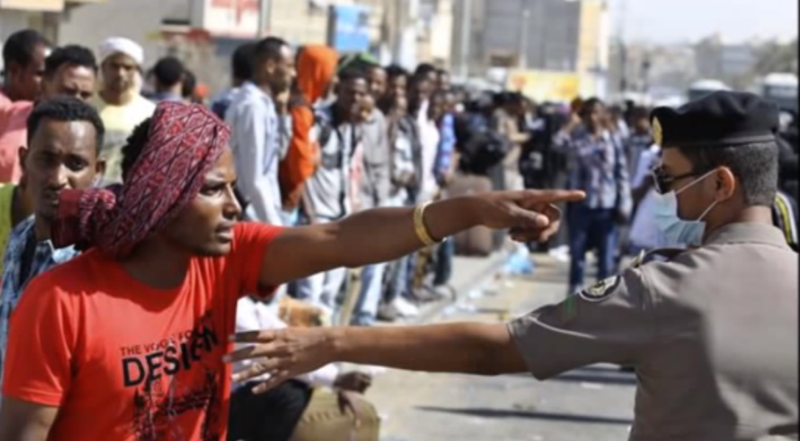 Initially, over 23,000 Ethiopians are reported to have “surrendered” to Saudi authorities despite such horrible treatment. Additionally, in an interview with Agence France–Presse (AFP), the Ethiopian Foreign Minister stated that repatriation will cost the government $2.6 million. The outcry for justice for migrant workers reverberated from Saudi Arabia across various social media outlets with many simply asking for humane treatment of migrants. 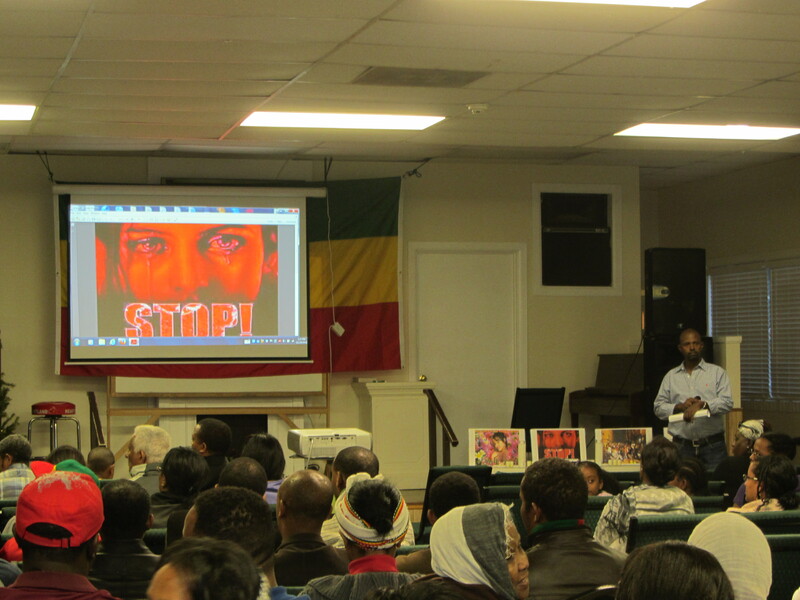 Recently, members of the Ethiopian Community of Tampa Bay gathered to express their sorrow and outrage at the treatment of their fellow Ethiopians in Saudi Arabia. The group also searched for solutions and discussed how best the larger diaspora community can act to address such problems. Getachew A. Dagne, who served as the president of the Ethiopian Community Association of Tampa Bay when it was first established and is a professor at the University of South Florida’s College of Public Health, said it is time for the wider diaspora to act. “There’s one fire here, you try to get rid of that fire, and there’s another fire there, are we working on the symptoms always? We treat the symptoms but we are not really going to the cause of the problems,” he said. He added that there needs to be space for new ideas and solutions to address such problems and, unless there is change, Ethiopians cannot expect to use old policies to address new challenges. Dr. Solomon Mekonnen, also a Florida resident said that what the community in Tampa Bay and in Florida is calling for is to hold those responsible for the abuse accountable and treat the migrants as humanely as possible. Here is a short clip from the event and the interviews I conducted with Mekonnen and Dagne.